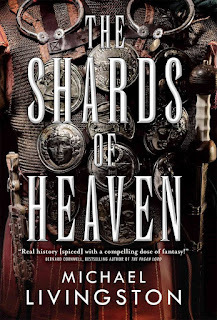 The Shards of Heaven is an alternate history set in Ancient Rome and Egypt (Alexandria), shortly after the assassination of Julius Caesar (Et tu Brute?!). 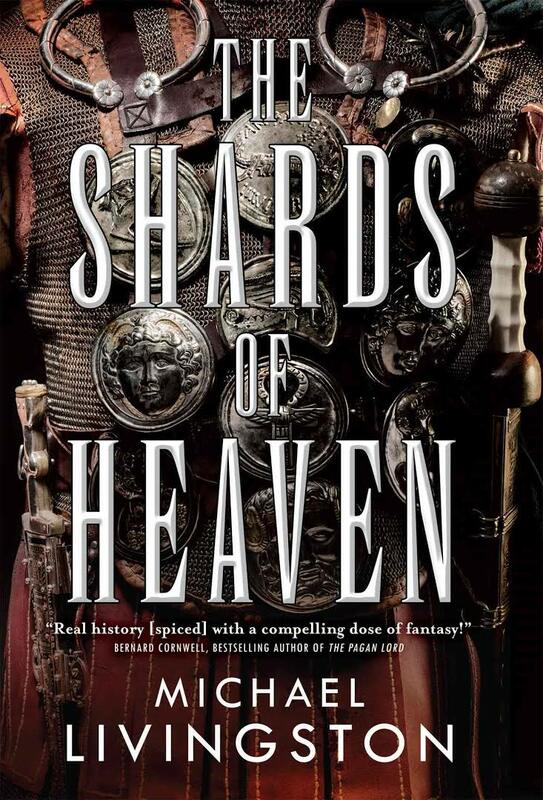 It follows Juba, an adopted son of Caesar as he attempts to collect a series of magical objects, called the shards of heaven, to give him the power needed to avenge the death of his father (former King of Numidia). The story also follows the now legendary centurions Lucius Vorenus and Titus Pullo who are serving Mark Antony in Egypt. The Shards of Heaven truly is a wonderful book. The writing is superb and has the feel of a seasoned veteran. The story is fast-paced and gripping and the imagery is vivid and imaginative. I know there are mixed opinions of Dan Brown’s work, but it’s hard to deny that his books can be impossible to put down and leave you with a sense of wonder for history, artifacts, and travel. This is how The Shards of Heaven made me feel. It also made me miss HBO’s Rome something fierce. With a few exceptions, character development is on point. Characters appear with a range of external and internal diversity, and even many of the characters that don’t have a POV are still well rounded and multi-faceted. And while we have varying skin tones and personality-types throughout the story, I am left wanting for gender diversity. The lack of an adult female character that speaks is stark, especially with respect to Cleopatra. She speaks briefly in the prologue, to express her indebtedness to a man for saving her child, and does not speak again until roughly half way through the book. On the few occasions where she does speak, it is always regarding her children, except for one time where she says “do this” (not a direct quote). The fact that we don’t have a POV for her is not an excuse. We have no POV for Antony, but still he is built as a lush and vibrant character. Anytime a character muses about Cleopatra, it is always about her beauty or stoicism, and she is seen as the seducer of two Roman generals first, and the Queen of Egypt second. This is very disappointing, because from what I understand Cleopatra was an intelligent and well educated woman. I also understand that it was not her looks that were the most appealing about her, but rather her affect. We get none of this. Potential lies with Selene, Cleopatra’s 10-year daughter, though we still don't get her voice until about 100 pages in. She is adventurous and independent and makes her own density, despite the limitations presented to her. There is still too much emphasis on her appearance and budding beauty for my taste, but I am excited to read the next book in this series to see how she develops as a character. And I can't forget to mention how much I appreciate that this story does not ignore the Hebrew mythology that is often so overlooked during this time period. It was a breath of fresh air. All in all, The Shards of Heaven is a wonderful read and I highly recommend it. Its only flaw really is the stark lack of gender diversity. I know women did not have a ton of rights in the time that this story is set, but that does not mean they must be silenced. Cleopatra was Queen of Egypt for Bast’s sake!